The first step of your equity investment is to open your demat account. The demat accounts service is provided by banks e.g. ICICI, SBI etc. and also by independent brokerage firms e.g ShareKhan, Angel Broking, etc. The charges for providing the service of buying and selling stocks is called brokerage. In India, the brokerage is a little-complicated subject. Along with the standard brokerages, there are other taxes and cesses which tag along. Some firms charge their clients on the number of shares bought some charge certain percent of the total amount of the trade. The common belief is that the brokerage in India is very expensive. In this article, we will try to address the important issues about brokerage and brokerage firms in India and also shed some light on the emergence and popularity of the discount brokerages and whether it is a good idea to go for discount brokerages. What Are The Qualities Of A Good Brokerage Firm? Before taking a decision about brokerage firm, it's important to consider your needs. For example, if you are a long-term investor, you don't have to stress much on the brokerage as you are going to buy and sell stocks very seldom. Whereas if you are an intraday or a positional trader you have to be very particular about the brokerages as trading requires a frequent buying and selling. Once you identify your needs it becomes easy to choose the right brokerage firm. Here are some of the qualities which you ought to ensure before signing up. 1. Costs : It is important to consider the charges of service. Apart from brokerage, there are various commissions and fees that broking companies charge. But don't give too much attention to this point as it's very complicated and sometimes even incomprehensible. However, it is important to understand the facilities offered to the investors. Every brokerage firm has multiple plans customised to suit the requirements of the investors. Amongst these, some are for intraday traders and the other plans are more suitable for long-term investors. 2. It's Better If Mutual funds and other investment options are available : These days demat accounts come equipped to deal in all the asset classes i.e. equity, commodity, currency and mutual fund on the same platform. A mutual fund is a most dynamic asset class. Hence it always comes in handy if you get to invest in mutual funds via your DP account (Demat Account). Those firms who provide this service usually have tie-ups with all the leading Asset Management Companies (AMC) so investors have plenty of options to choose from. Even if you want to invest in options, exchange-traded funds, or ETF, some of the firms provide these services too. If you go for discount brokers you might not get these facilities, however, most of the full-service brokers do provide these services. 3. Research Reports : Most of the mainstream and full-service brokerage firms also offer stock research services. This is a value-added service where comprehensive research reports are sent to the customers to help them make better buying and selling decisions. This service allows investors to access stock analysts' reports on companies and the sectors of interest and also lets them view financial reports (Balance sheets, P&L statements & Cash Reports) of the companies. These are paid services so it's up to the customer whether they need these services. 4. Look For A Minimum Trades Clause : As mentioned above, it is important to understand your needs before signing up. Thus, if you are an investor you needn't worry about the number of trades clause. But in case you are a trader, it makes a world of a difference. Always ensure if there is a clause or even a subclause about minimum trades that you will have to do. If yes, check what are the penalties if you don't comply with the requirement. Sometimes, demat accounts come with a savings account. In such cases, some banks have rules in place about maintaining the minimum balance. 5. Technology and trading platform : For traders, it is important to have the best and the state-of-the-art technology for trading.The trading platform (website) is of crucial importance. Investors usually focus on the brokerage, which is an important point, but, the technology aspect of the demat account should never be overlooked. Always ensure that the brokerage firm your signing up for has good technology platform and user-friendly interface (UI/UX). The website should work consistently, should be efficient at the time of trading and should have easy navigation. Also, it helps if your brokerage firm has a mobile app so you can trade on the go. In fact, if you are a professional trader, technology should be given utmost importance just as much as the brokerage charges. 6. Customer service : It extremely important to get good customer service. From giving you update about investments and trading to resolving your technical issues and queries, customer service comes to your rescue on all the occasions. Some brokerage firms provide call and trade facility, where you just have to call the helpline and order the trade. To get good value for your money a good and efficient customer service is extremely important. Before you look for an ideal brokerage firm, it's important to identify your investor persona. It simply means to know why you are entering the equity domain: to invest or to trade. The services both these types seek are totally different. For example, if you are an investor with a long-term perspective. You don't need to get carried away by the marketing gimmicks of the discount brokerages as you are not going to do frequent buying and selling. However, if you are a trader, then even minor differences in the brokerages make a world of a difference to your expenses. Hence the first step is to determine your investment persona. If You are An Intraday Trader : Day traders also known as intraday traders invest for a very short time.An intraday trade usually lasts from few minutes to a few hours. A trader can't hold these positions overnight and have to square it off before the end of the day's session. In such trades, a trader aims to buy a huge quantity of a stock and aims to capitalise on the minor movements of the stock. Due to their unique investment style, it is important that accurate data has to be delivered to them on the real-time basis. To enhance your trading experience some brokerage firms offer real-time market news. As the intraday traders make many trades in a day, most of them prefer a trading account with a flat fee. For a retail day trader, all costs are significant and can become very big-commissions, maintenance fees, as well as other fees (inactivity fee, fees for transferring money, etc. ), are extremely important, as they considerably affect the overall returns. If You Are An Investor: For the investors, the requirements totally change. Investors normally buy a stock and hold it for a considerably long period, years mostly. It is important to enter a stock at the right price, but when you are buying it for a long-term, a few rupees here a there don't make a huge difference. Hence investors do not need a high-end order execution system. Even the basic facilities are good enough for such investors. The commission/brokerage structure is, in a way, insignificant, for such investors as they do very few trades. However, it is always better to keep a close eye on the taxes and cesses imposed by your brokers. Today as an investor or a trader you have plenty of options for brokerage firms to choose from. However, One such difficulty question that will stare at you would be whether to go for a discount broker or a full-service broker. Choosing between a full-service or discount broker is a critical decision for investors. Let's scan through the pros and cons of both. 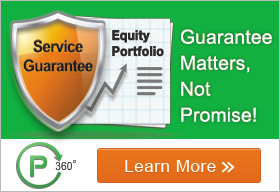 Full-Service Broker - Full-Service Broker - Traditional full-service brokers do a lot more than just help their clients with buying and selling of stocks. These brokers usually offer a wide range of products and services i.e financial and retirement planning, advisory service for stock and mutual fund investment and provide regular portfolio updates. Some brokers also provide tax advice to their clients. Traditional brokerages usually have higher fees as they provide such personalised service. Full-service brokers charge brokerage in percentage terms on the total amount of trade executed by clients. Also, full-service brokers operate on a big scale. They have a number of offices and branches across the country which employ a big staff to give personalised service. Naturally, with such a high operating cost their services are expensive. ShareKhan, Angel Broking, Motilal Oswal are some of the full-service brokers in India. Pros - Personalized service, value-added services can be of a great benefit, plenty of hand-holding from stock brokers and customer service. Cons - High almost exorbitant brokerage on delivery, intraday and derivative services, additional charges like annual maintenance charges. Discount Broker - Discount Broker - In the recent times, discount or online brokerage have become extremely popular. The investors who are fee-conscious who usually like to do it all on themselves prefer discount broker. The discount brokerage does not offer add-on services like investment advice, however, it is common for such brokerage to provide educational tools to enhance your investing experience. In India, there are a number of discount brokerage firms. They are available in all shapes and sizes. However, while selecting your brokerage, you need to focus on things like better-investing tools, cost efficiency, and good customer support. These points are non-negotiable. However, It's important to manage your expectations as the very reason they are cheap is that they only provide a platform for you to invest and trade and you are left to your own devices. The brokerage is very attractive. Most of the discount brokerages charges are around Rs.20 per order or less (In case of F&O and Intraday) and some also provide zero brokerage for delivery. A discount broker is the best option for professional traders and the investors who can find their way in the market without any assistance. However, If you are looking for one-on-one guidance, and stock advice, remember discount brokerage firms don't offer personalized investment recommendations or portfolio management service. Zerodha, SAS & Trade Smart are some of the discount brokerage firms in India. Pros - Extremely attractive brokerage charges, low annual maintenance charges, trading terminals of high-end technology. Cons - No stock advisory service, no research reports, no value added services. Looking For A Golden Middle? If you are one of those you think that the full-service brokerage is too expensive and the discount brokerage too indifferent then there is a golden middle for you. Niveza offers Personalised Research Service (PRS) where the investor literally doesn't have to do anything. Just open the lifetime free demat account with SMC (Our broker partner) and you are good to go. Following are the highlights of Niveza's PRS.